TOKYO – Japan has changed the name of the Pacific island of Iwo Jima to the original name of Iwo To given by locals, who have become disenchanted with the popularization of its modern-day moniker by such movies as Clint Eastwood's recently released "Letters from Iwo Jima." The new name in Japanese looks and means the same as Iwo Jima — or Sulfer Island — but sounds different, the Japanese Geographical Survey Institute said. The institute announced the name change on Monday after discussing the issue with Japan's coast guard. An official map with the new name will be released Sept. 1. Iwo Jima was the site of the World War II battle immortalized by the famous photograph by Joe Rosenthal of The Associated Press of Marines raising the American flag on the islet's Mount Suribachi. They were evacuated in 1944 as U.S. forces advanced across the Pacific. Some Japanese navy officers who moved in to fortify the island mistakenly called it Iwo Jima, and the name stuck. After the war, civilians weren't allowed to return and the island was put to exclusive military use by both the U.S. and Japan, cementing its identity. 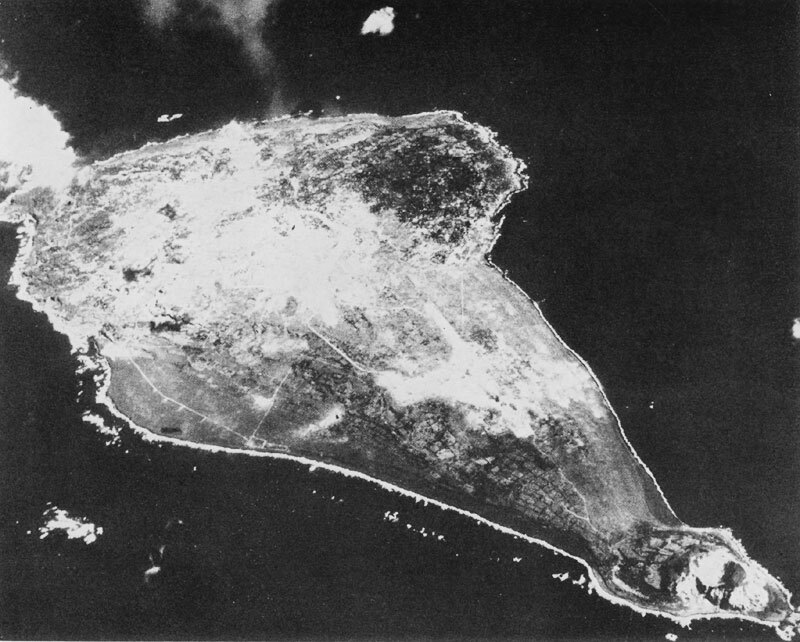 "Though we're happy for Iwo To, which has been forgotten by history, the islanders are extremely grieved every time they hear Iwo To referred to as Iwo Jima," the local Ogasawara newspaper reported at the time. Ogasawara, the municipality that administers Iwo To and neighboring islands, responded by adopting a resolution making Iwo To the official reading. Residents and descendants of Iwo To evacuees petitioned the central government to follow suit. "These people are now scattered nationwide and are not able to go back to Iwo To," said the survey institute's Mitsugu Aizawa. "These people have said that the place is originally called Iwo To and their claim lead to this revision." Today the only inhabitants are about 400 Japanese soldiers. I'm glad that this historical error has finally been rectified... I'm sure the history books won't be re-written, but I guess this is as good as it's going to get for the former residents of the island. Clint Eastwood recently produced two excellent, historically accurate movies about WWII Iwo Jima, or should I say Iwo To. Letters from Iwo Jima is told from the Japanese defenders' point of view, and gives amazing insight into the Japanese mindset of the day. The movie is entirely in Japanese, with English subtitles... but don't let that stop you, it is an excellent movie! Flags of our Fathers is a true story revolving around the lives of the individuals who were depicted raising the American Flag in the famous photograph on Mt. Suribachi. Based on the book by the same title, the story examines how those six soldiers' lives were forever changed when they were immortalized in that photograph. They were called heroes, but they didn't think that of themselves. The comment made by John Bradley sums up their true feelings: "The heroes of Iwo Jima are the guys who didn't come back."